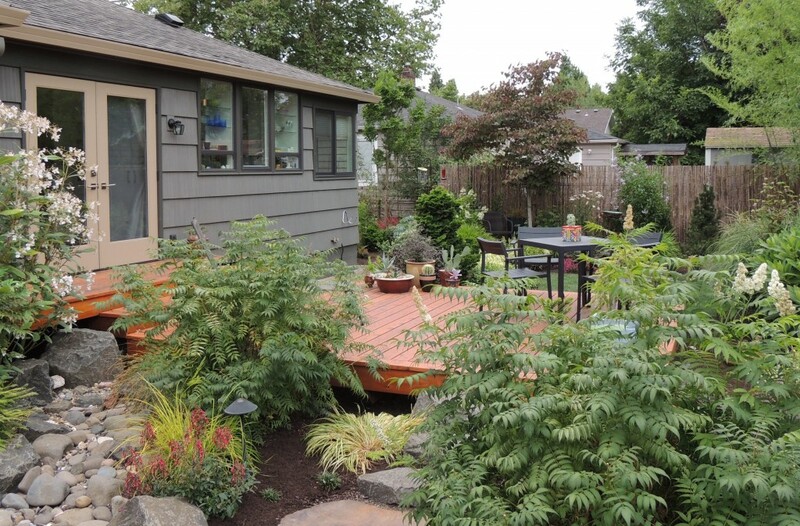 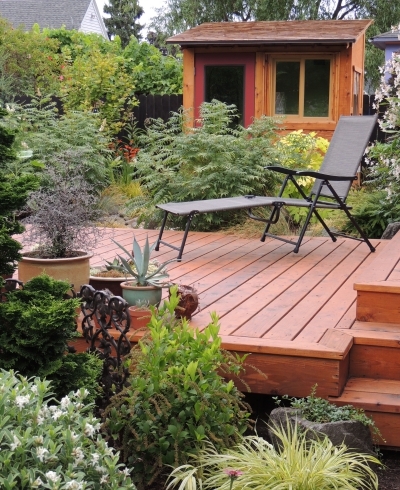 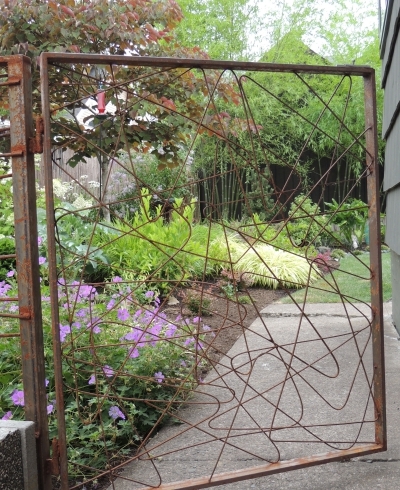 The owner of this Sellwood neighborhood home wanted to remove most turf and use low-maintenance plantings. 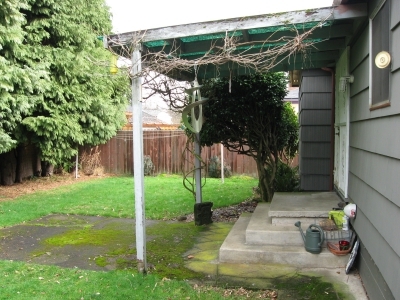 The side yard would include perennials and edibles in new raised beds. 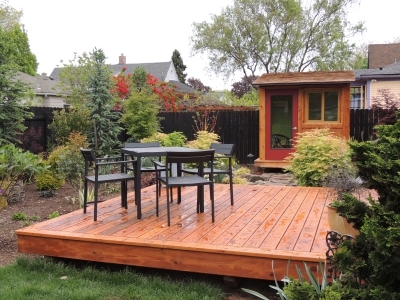 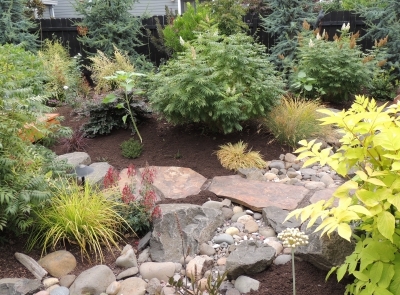 The back yard brought opportunity for bermed areas, a new deck and dry streambed with a beautiful stone pathway leading to a Japanese-inspired sitting pavilion. 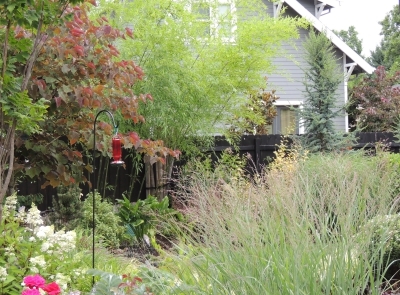 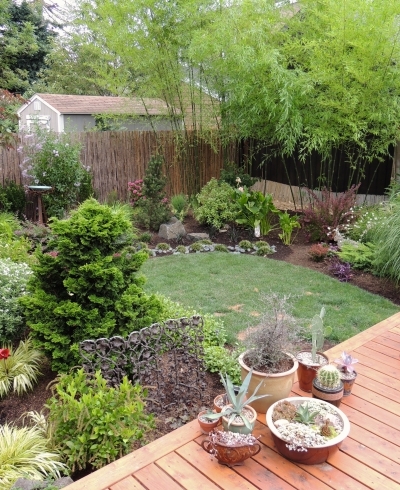 The owner enjoys watching birds and also wanted plants with year-round interest. 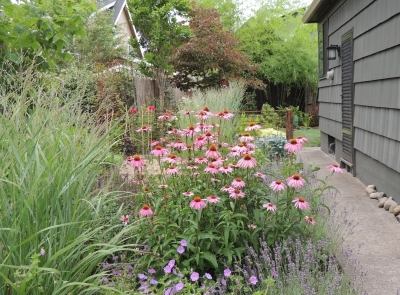 Along the street and sidewalk are drought tolerant perennials. 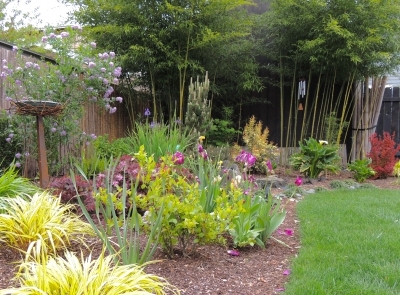 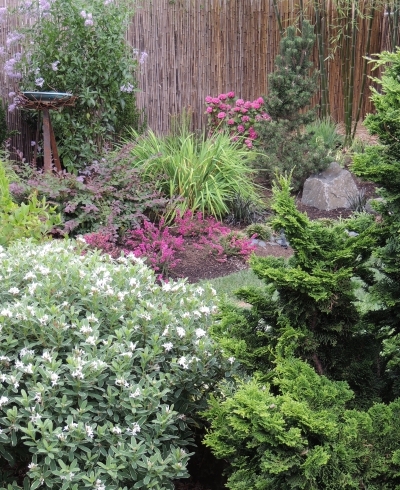 J. Walter Landscape & Irrigation provided expert installation service.